Shooting two separate :30 sec. 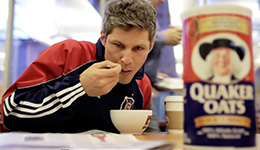 ticket spots for the Chicago Fire soccer club, we highlighted two standout players and their unique skills. Spot one focused on goalkeeper Sean Johnson’s passion to stop soccer balls. 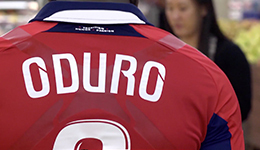 Spot two featured Chicago Fire forward Dominic Oduro and his ”freaky fast” speed. The two popular local spots played on all controlled Chicago Fire channels. 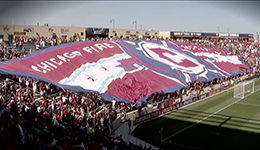 The “This Is Soccer” spots became a Major League Soccer national campaign which our video production crew localized by using Fire players, match highlights and sports team logo designs throughout.